On 16th of September, a peace talk in search of the fundamental solution to put an end to the war was hosted by a UN-affiliated NGO, Heavenly Culture, World Peace, Restoration of Light (HWPL) in Goseong, South Korea. ‘Goseong Peace Talk’, which was jointly organized with International Centre for Black Sea-Baltic Studies and Consensus Practices (Centre BBS), sought the means of collaboration for the implementation of peace project suggested by Centre BBS and the establishment of the international law for peace based on the DPCW. 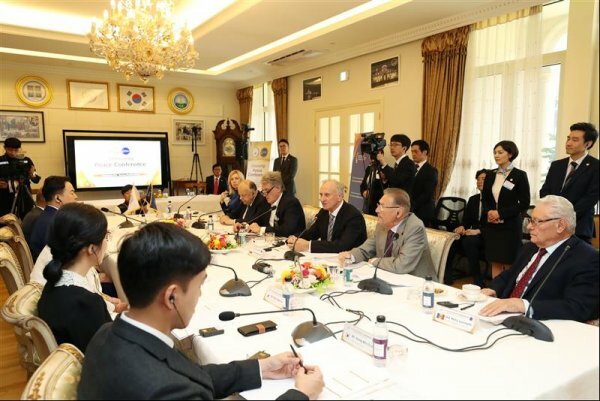 Topics of the talk on the roles and responsibilities of global leaders for cessation of war were as followed: Fundamental solution for the cessation of war; Cooperative measures to develop the DPCW into a legally binding document; Cooperative measures to achieve peaceful unification of the Korean Peninsula; HWPL’s cooperation for Centre BBS’s ‘World Peace Order Project’. Regarding the main topic of the meeting, the Declaration of Peace and Cessation of War (DPCW), Mr. Pravin H. Parekh, President of Confederation of Indian Bar, highlighted the principles of the DPCW and its value. 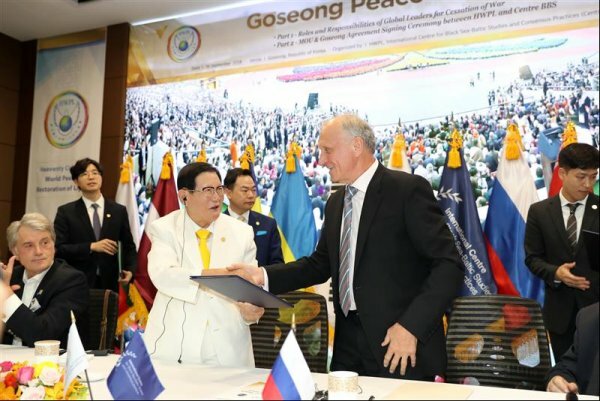 The peace talk concluded with the presentation of ‘Goseong Agreement’ and MOU between HWPL and Centre BBS to advance their collaborative efforts for peacebuilding in the world as well as in the Korean Peninsula. 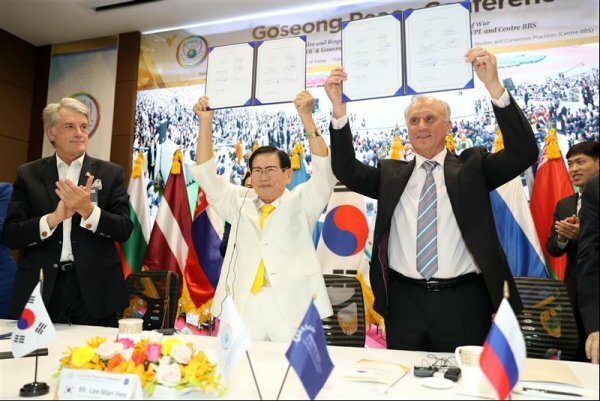 The ‘Goseong Agreement’ was written in conforming with the joint action to present the DPCW to UN for its adoption, to support the peaceful reunification of the two Koreas, and to form the sustainable relationship to fulfill world peace. The members of Centre BBS, expressing regret over the division of the Korean Peninsula caused by the Cold War, had a deep discussion on the ways to support and cooperate to end the decades-long division of the peninsula. The countries of the Black Sea region that experienced the Cold War since the 2nd World War have continued their efforts towards freedom of the people, democracy, and self-determination. The ‘Belavezha Accords’ of December 1991 virtually disbanded the Soviet Union in its 69-year history and laid the foundation for democracy in Eastern Europe today. The majority of Centre BBS including Ms. Iryna Vereshchuk, H.E. Gennady Burbulis, H.E. Viktor Yushchenko, H.E. Stanislaw Shushkevich, Hon. Emil Constantinescu, and H.E. Petru Lucinschi, attended this peace talk, was the leaders of Eastern Europe who led the ‘Belavezha Accords’.